Our goal is to connect people with the best local experts. 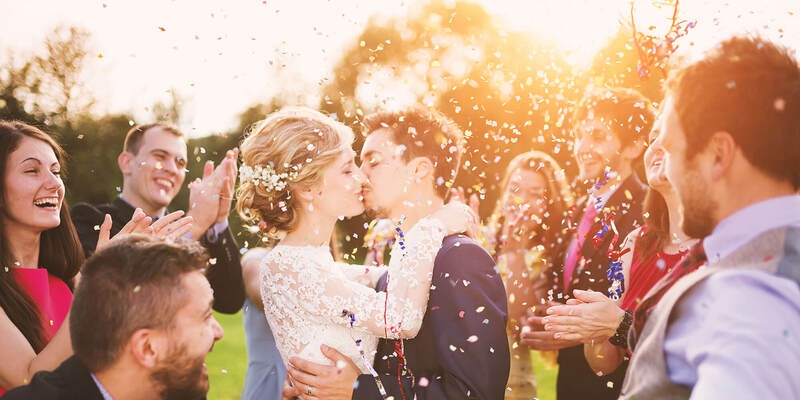 We scored wedding photographers on more than 25 variables across five categories, and analysed the results to give you a hand-picked list of the best wedding photographers in New York, NY. Andrea Reese Photography is led by a Brooklyn wedding photographer. Andrea has had numerous exhibits and her photos have been seen in many publications including The New York Times, The Daily News, and Time Out. Andrea's site has a list of other professionals she refers clients to for their wedding day. Andrea is also an experienced portrait photographer, including headshots, author photos, online media photos and dating profile photos. Chris Leary Weddings has been a New York City wedding photographer for nearly 15 years and has worked on over 200 wedding events. Chris learned his trade at Syracuse University’s S.I. Newhouse School of Public Communications. Chris specializes in capturing posed and as candid moments, including any special traditions the bride and groom may have. Cyrience Creative Studios is a New York wedding photographer whose specialty is capturing candid, non-choreographed images. Photographer Jen Chanyl is also available for engagements, portraits, special events and to shoot other family moments, members, and pets. Cyrience Creative Studios also specializes in commercial and corporate photography. Denis Gostev Beyond Pretty Pictures caters to couples getting married in New York. Denis is a sports photographer as well and uses a photojournalist's approach to his work. Clients can download their shots via a private site which is password protected. Deutsch Photography offers marriage photos to the New York Metro area. Photographer Brett Deutsch has been working for over 10 years and focuses on a story-telling approach and capturing small details. All photos will be edited by hand and put on a password-protected site as well as DVD. Brett can shoot destination weddings as well as other major life events. Erin Mayhugh Photography is a Brooklyn-based wedding photographer. She was the 2015 Thumbtack Award Winner for Best Fashion Portrait Photographer in NYC. Erin's background was as a makeup artist and stylist for modeling agencies and magazines. She has been a photographer, casting director, and producer now for over 10 years. Femina Photo + Design in Long Island City serves the New York area with expert wedding photography services. The company's basic package is 8 hours of coverage with two photographers. Additional services can be added such as albums and art prints. Femina's photographer has a background as an art director in advertising and graphic design. Fola Lawal Photography is led by a New York area wedding photographer. US-born, Nigerian-raised Fola is a self-taught photographer and has been shooting weddings, engagements, fashion, and kids for almost 10 years. He left his job as a certified accountant to pursue his passion and capture memorable moments with timeless images. Hendrick Moy Photography provides wedding photos to the New York Metro area. Lead photographer Hendrick Moy uses a fine art and documentary style to capture beautiful, timeless images. Hendrick edits all photos himself, has a 3 to 5 week turnaround time, and limits himself to 25 weddings per year. He is available to travel for destination weddings. iNsYnc Photography LLC brings over 50 years of combined experience as wedding photographers to clients in the New York area. Aside from weddings and engagements, iNsYnc also shoots photos and video of bar mitzvahs, kids and families, and for corporate needs. Couples can visit the company studio to view work and talk. John Rizzo Photography is a New York City wedding photographer. John aims to bring a wedding's story to life. He has worked internationally covering events and cultures with his images seen on the covers of and inside numerous publications including Newsweek and The New York Times. His partner's background is in the French film industry. JoJo Cee Photography is a wedding photographer based in Staten Island, New York. The company is available for local as well as destination weddings. Photographer JoJo Cee prefers using candid shots when working. Clients also hire the company for sweet 16s, bar mitzvahs, and communions and for photo shoots of newborns, children, maternity, and engagements. Client inquiries will be answered within 48 hours. M.O. Images is a wedding photo service company based in the New York area. The company is available for wedding and engagement shoots and also provides photography for other life events, bands, babies, models, portraits, fine art, and real estate. Moss + Isaac is a wedding photographer in the New York Metro area. All services are à la carte and photos will be received via USB in 3 to 4 months. Photographer Leigh Anna Thompson was a graphic artist and art director. Her shots have been seen in TIME, The New York Times, and Esquire. Pete Lott Photography is a New York area wedding photographer. Pete shoots local weddings as well as those abroad. He uses natural as well as on-location studio lighting and specializes in dramatic shots. Wedding films are also available. Pete can photograph other life events and is also employed for headshots and portraits. R. Tomaro Photo + Video is a Jersey City wedding photographer and was winner of WeddingWire's Couples' Choice Awards in 2016. Packages for photography as well as full video start at $700 and include up to 10 hours of coverage. Couples can have a free initial consultation with the photographer. R. Tomaro only shoots one wedding per day. Reminisce Photo + Film provides marriage photography services throughout the city and surrounding areas. It also handles destination weddings. The team's experience includes more than 1,500 wedding shoots. Reminisce uses digital and film cameras to capture moments couples can cherish, and is available to create mini movies to recap the wedding day. Reminisce also offers all-inclusive packages for Hawaiian weddings. Resonance Vision is an NYC wedding photography company that is made up of visual artists who focus on the photo as a form of expression. Their specialty is in finding and capturing details. Both owners studied at the China Academy of Art and State University of New York and have had several exhibitions since. RM Digital Photography is a New York City-based wedding photographer with a degree in Design. Photographer Rafal Ostrowski has won the International Wedding Photography Award and has an extensive portfolio in fashion photography as well. He is available to travel as needed. Robert London Photography provides wedding photo services to New York City and abroad. Travel fees can be subsidized and is free for Riviera Maya, Tulum, and Cancun weddings. All images are hand-edited and put online as well as on DVD for couples. Robert also does boudoir shoots. Salwa Photography is a two-person wedding photo company based in the New York Metro area. Photographers Simon and Anna use an approach based on a sense of fashion and photojournalism. Salwa was named the 2011, 2012 and 2013 Best of Weddings Winner by The Knot Wedding Network. Susan Shek Photography is an award-winning NYC wedding photographer specializing in local and destination weddings. She also offers engagement sessions and portraiture photography. She was born and raised in New York City and has an eye for scouting the most romantic and photogenic locations for photos. Susan has an unwavering passion for capturing love in all forms and from all different cultures. She has worked as a photographer for all types of weddings and events. Susan is very detailed oriented with her photos and is always thinking outside of the box. She spends quality time getting to know each and every couple she works with to truly make sure their personalities, styles, and energy are at the forefront of every photo taken on one of the most special days of their lives. Tim Ryan Smith offers wedding photography services to the Five Boroughs. His methods incorporate an easy going manner, natural lighting, and a focus on unobtrusive, candid shots of the wedding party and guests. Tim is also experienced capturing posed photos or following a shot list. Tino Photography & Video is a New York wedding photographer. The team specializes in both photography and videography and has experience working with couples from all ethnic and cultural backgrounds. Payments must be made in three parts including an initial deposit, payment on wedding day, and a final payment when work is completed. Former clients love Tino's attention to detail and willingness to capture the perfect shot, no matter what it takes. X.XV.VIII Photography provides wedding photos to couples throughout the Five Boroughs. Photographer Denise Lopez offers studio sessions, outdoor sessions, and event coverage. Her rate for private sessions is $100 per hour, and weddings as well as other events start at $500- $5,000.